Now that I’m eating healthy (or at least trying to…as I sit here drinking my extra pump, caramel white mocha – argh), one of the harder things to do is find something that’s healthy to eat when I have a sweet tooth craving. I’m pretty proud of myself that I’ve been able to resist this box of chocolates sitting on my desk, but I really do need something that has a flavor that at least resembles sweetness every so often. Fortunately, my fridge has been housing three of the new Yoplait YoPlus yogurt flavors which have been excellent, much healthier substitutes that satisfy my sugar craving while still being healthy. Yoplait’s YoPlus is chock full of vitamins, minerals, and bacteria, making it a healthy product in more than one way. It provides 20% of the daily recommended value of antioxidants vitamins A and E, which helps protect out cells from oxidation. 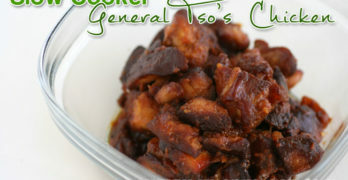 It also has fiber and a special blend of probiotic cultures, which help to regulate digestive healthy. Finally, it also has vitamin D and Calcium to help us keep our bones healthy and strong. YoPlus comes in 6 different flavors, including Blackberry Pomegranate, Strawberry, Vanilla, Blueberry Acai, Cherry, and Peach. 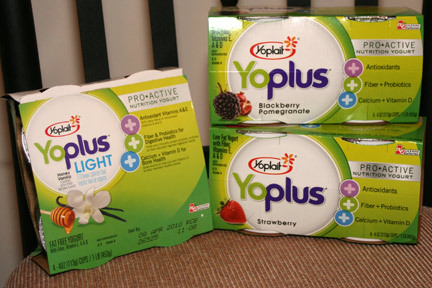 YoPlus Light, with ~1/3 fewer calories, comes in Honey Vanilla, Key Lime Pie and Strawberry Banana. We had the opportunity to sample Yoplait’s YoPlus in Blackberry Pomegranate, Strawberry, and the Light Honey Vanilla. 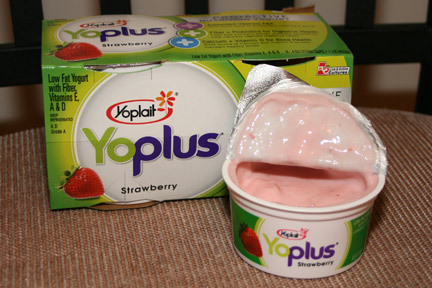 I’ve always been a Yoplait fan and the YoPlus didn’t disappoint. All three of the yogurts had a great yogurt texture that was thick and creamy, not too thin or runny. The strawberry flavor was spot on, making it my favorite of the three. I was really interested to try Blackberry Pomegranate because I’d never had that flavor of yogurt before. It reminded me a little bit of raspberry, but without the seeds. It had a great “berriness” to it. Finally, the Light Honey Vanilla, while not as sweet as the other two, still had a wonderful vanilla flavor with just a hint of honey. I also found that the Yoplait YoPlus Light Honey Vanilla didn’t linger in my mouth the way the other two did, it went down smooth and left a clean feeling behind. If you would like to try Yoplait’s new Yoplus yogurt, now’s your chance! 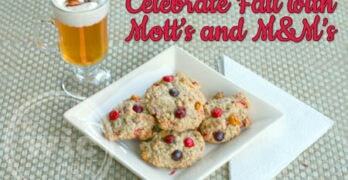 Click the box below and 50 lucky readers will be able to get a coupon for a FREE 4-pack of Yoplait YoPlus yogurt! If you miss out on the freebie, then you can still download a $1 off coupon. So get your free Yoplait YoPlus now, and tell your friends before they all go away! Disclaimer: This post consists of my (and/or fellow tester) opinions only. Your experiences may be different. No compensation was given for this review/giveaway. I did receive free Yoplait YoPlus from the manufacturer or their representing PR agency to use and test for the purposes of this review. This did not affect the outcome of this review. I'm getting the same thing too. Let me see if I can figure out what's going on. Sorry about that! FIXED! You can get your free coupons now! I don't know if it is just me but I can even see the box now to click on. says I will be mailed a coupon for free yogurt! Thanks so much! Thank you, I tried again this morning and it did go through. I just left blank those boxes that didn't apply to me. you have to click the right place on the box–where it says free; I just did it and it worked! thanks! btw–it's really good, too! had some at lunch. Thanks! I eagerly await the coupon.